MacMillan Coffee morning at Burd Ward a success! Many thanks to Burd Ward for our kind invitation to your MacMillan Coffee Morning hosted at your office. 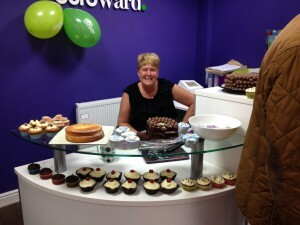 Nick Senior, Gill & I very much enjoyed your welcoming, friendly atmosphere and your very delicious cakes with hot drinks. 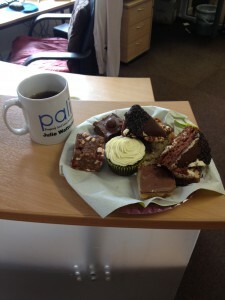 Everyone at the Pali Office also really appreciated the cakes you insisted on us taking back to them. We hope that the donations received were a hearty amount because of the effort you put into your Coffee Morning.We couldn’t believe the variety of homemade cakes! 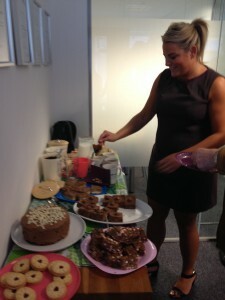 From tiffin to chocolate Malteser & cream cake to cupcakes and caramel slices. We really enjoyed speaking to your friendly employees who made us feel very comfortable and encouraged us to eat more of their wide variety of cakes and biscuits! We look forward to the next event you host but until then, our diets will continue!